I’m sure you have heard or at least seen a post on Facebook about PEMF for horses. I’ve been told it’s been around for a long time but just recently gaining more popularity. This type of therapy has definitely been very popular in my area, so I decided to give it a try with Gracie. Before I tell you my thoughts on it, let me first share with you what PEMF is and what it is suppose to help with. To learn more about it’s origin and present day use, go here. I’m going to be honest with you, when I’ve spent time Googling about this type of therapy, I’ve come across many statements for and against it. In my searches, I’ve seen plenty of therapists and vets offering it as a service in their practice which leads you to think it’s got to work and be worth trying. Why wouldn’t you believe a Vet who is telling you it works? However, for every person that seemed to be for it, I’d find one calling it into question and being against it. So I’m going to let you do your own research and make your own decision whether to try it or not. 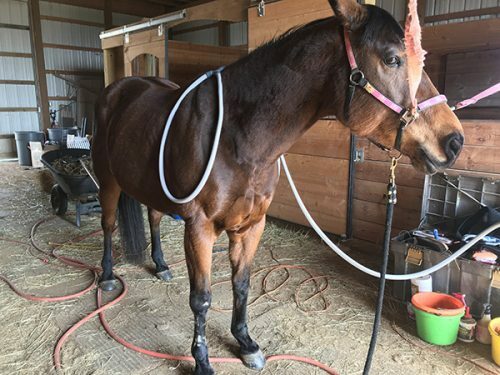 For those that have been long time readers of the blog, you know that Gracie has had a long history of issues with her locking stifle and weak hind end. I’ve tried a lot of different therapies and have some that have worked and others that haven’t. I wanted to try this for a couple reasons though. (1) If it works for her, Kim is close enough she can come on days Gracie is locking up or acting more sore then normal. Whereas, Donna, my chiro, lives an hour away and typically can’t come quickly and (2) It’s not that expensive compared to other therapies. First I tried it out on Gracie and then a few days later I tried it out on myself. Here’s a short video of Gracie getting the treatment in her hind end. During the treatments, she acted like she was so relaxed and happy. She would stand super still, hang her head low and at times lick her lips. I assumed since I was seeing her have the same type of releases with this therapy as she does with massage therapy and the chiro, that she must be getting something from it. Like I said, I felt it worked well enough the first time to give it a try again. Both times I saw the same results. So I am convinced it does do something good for her and will likely continue to use it when I since she is sore and could use it. It’s all good though. I’m glad I’ve found something else that seems to help Gracie and can help me keep her from having hip and stifle problems. With that said, if you have a horse that is experiencing some type of issue, I would recommend you giving it and try and seeing if it helps. If you decide to give this a try, you’ve got to call Kim Brittenham. 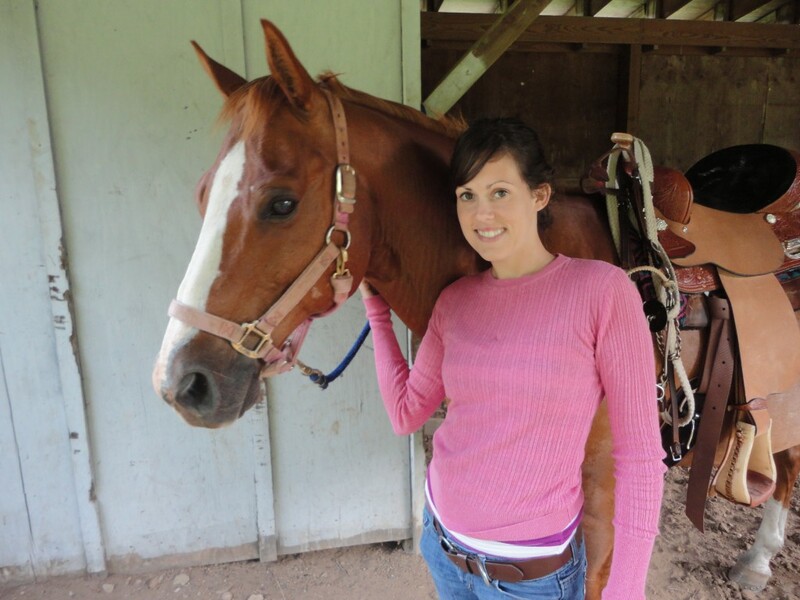 Kim’s very knowledgeable about this therapy and has even gone through training so she can provide the best and right therapy for horses and humans. Not only does she know a lot about this therapy, she’s also seen first hand how healing it was for her own horse that was close to the point of needing to be put down! If you want to hear that story, you’ll have to contact her. I’m telling you, after you hear it, you will be a believer. Kim is located in Ramseur but offers treatments in many different locations and sometimes does discount clinics (yay for saving money!). She also does a ton of showing on the AQHA circuit and takes her machines with her to offer treatments at shows. Have you tried PEMF on your horse(s)? What was your experience with it?